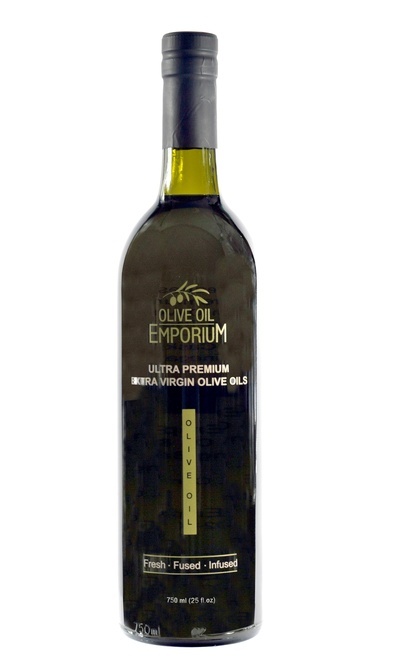 Description: A deluxe olive oil and vinegar 12-bottle gift presentation made with our most popular flavours and products. A versatile selection of oils and vinegars for all types of meals and uses. The applications for this selection are endless. Combine your oils and vinegars with a 1:3 ratio for a divine dressing. 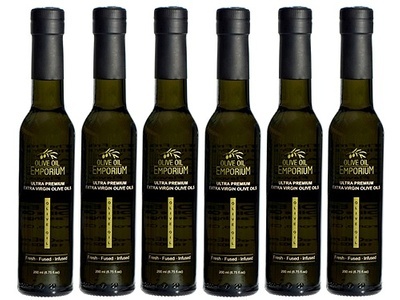 The Olive Oil Emporium 12-Bottle Gourmet Olive Oil and Vinegar Gift Set consists of 7 vinegars and 5 oils including our specialty products such as the truffle oil, walnut oil, and sherry wine vinegar. A great way to introduce someone to a wide variety of flavours in one package, and with a re-usable wood serving tray! An excellent hostess gift or birthday gift, or for yourself to try and experiment with! 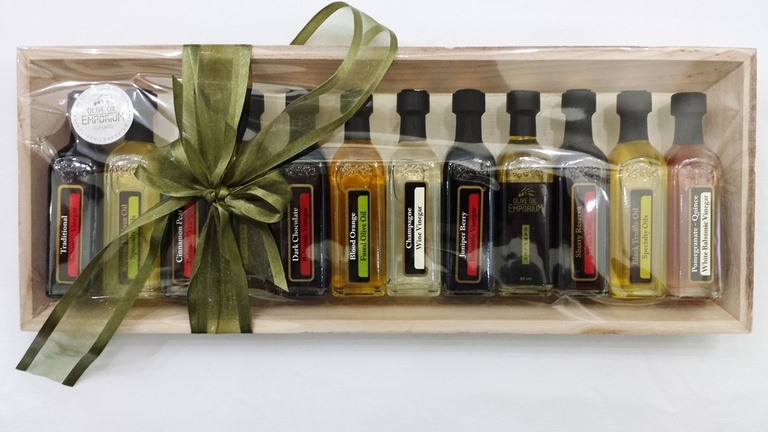 Packaging: Elegantly presented across a reusable food-grade wood tray, showcasing all 12 oils and vinegars.